Often a song that wins the Sanremo festival, gets a good publicity and also the direct passage to the Eurovision. It is not said that a song has the same favorable feedback with the public because sometimes a winning song does not get a follow-up with the public, or after a short time it can also be forgotten. This is certainly not the case of GRANDE AMORE. Since the first execution it has achieved great public success. Are not served, the many radio passages to accustom people to the musical motif. This song has immediately entered the head but even before in the hearts of the people and has spread everywhere, in the world. This song was liked so much that it was sung in many languages, as this video demonstrates. Add to the series also this little girl of Moroccan origins OIUAM participant in Sanremo young. Also, as we have seen, this song has also been used for sports competitions, such as figure skating or rhythmic gymnastics. So many times IL VOLO has been accused of making “cover” of songs, now it is the other singers who make “cover” of Grande Amore. Also in the Rock version. Did you know that GRANDE AMORE was not to be sung by IL VOLO but by a male and female duo called Opera Pop? Due to the age overcoming by the male, they could not participate in Sanremo and so the song, thanks also to Carlo Conti, was proposed to IL VOLO. Here are the Pop Opera in their version, do you think they would have won Sanremo all the same? I believe, NO. Ok, I do not know if you have had the courage to watch all these videos of the same song repeated so many times, and I have to tell you that I could go on forever, but the message is that GRANDE AMORE is a beautiful song. But let’s enjoy it one last time from our wonderful guys. Credit to owners of all videos. Grande Amore is the perfect song for our young men. I have heard many versions by many singers, but their rendition is and always be the best for me. There is only one other that I like and that is the one sung by the Japanese fellows. You’re right RoseMarie, there is no comparison. I like this song, but when I hear it sing from Il Volo, I get shivery. I understand they are young and want to try new styles of music but, I hope they don’t stray too far. I will love whatever they do because they have done so much for me I would never leave them. It’s the same for me too. Absolutely agree Jeanette. Their presence on the stage is priceless, we do not talk about their magnetism. Loretta, I am partial too, they are fabulous, what they sing becomes unforgettable. Give me your opinion, Opera Pop would have won Sanremo with the same song? I do not think so. The Italian public loves opera (la lirica) but this song does not suit a full operatic treatment. Although I can recognise her vocal talent, I did not like the soprano voice in this context. Also, for me the words are much more suited to a male singer. I can relate to a man singing these words about a woman; I find it more difficult to relate to a woman singing the same words about a man. We have so many female Crew members, I am sure some of you will scold me if that is a sexist view. I hope that it isn’t. Of course, I have heard it sung so many times by il Volo that now, I cannot get used to other performers singing it. Therefore, I find it much harder to listen to them objectively. I always make the comparison with our young men. Inevitably, to my ears and eyes, everyone else is competing for the second prize! Also, I could not listen to the other versions of Grande Amore. I stopped half way through each clip. This song was made for our boys. You are right, I think this song is not a woman’s song. Bernard, of course, I agree with you. You think that the words were written for a man and a woman, they were modified, just because they were suitable for three men. Honestly, if the changes were not made to the text or to the music, as was done for Il Volo, the song would not have liked it so much. For the interpretation, then, there are no doubts, Il Volo forever. RoseMarie, the book that you and Bernard have bought is certainly the first version, and it will become a limited edition book. As soon as I have bought the new book, I can let you know which parts are removed. You think that when the book will arrive to you, here in Italy will release the new version and there will be in Bologna the signature-copies with the presence of Il Volo ……. sigh sigh I will not be able to go !! Well Daniela I just heard the other man & woman singing up above I do not like their voices & that includes the other man & woman singing separately as well. In fact I don’t listen to other singers or groups. And no Opera Pop in my opinion would only win Sanremo sung by Il Volo. In fact if Il Volo is going to sing any other Opera Pop song then that song will win As I said above I am only partial to Il Volo. Honestly Loretta, I do not like them either, but as you say, we are biased. What annoys me is that they say that the victory of San Remo was stolen from them by IL VOLO. Instead I’m sure that sung by them, the song would not have won. really Daniela, they say that? The guys won Sanremo, not the song, duh! You have to know Cynthia, that for the Sanremo rules, it’s the song in the race, so it’s the song that wins. But I am convinced that the impact, was given by the Volo, the same song sung by others in fact does not have the same performance. The song can be beautiful, but it is the interpreter that makes it great. yes, agree with you totally on your view. Thanks Daniela for all these “Grande Amore”s. Some are very good but none come close to being as beautiful as Il Volo’s Grande Amore. I remember watching the video from Sanremo and hearing them sing it the first time. It was incredibly exciting, dramatic and very unique! Piero, Ignazio and Gianluca do have such a wonderful stage presence and you know you are going to love listening to them. Margaret, you’ve watched them all, you deserve a medal. On you tube there are many, but when I hear Il Volo, all the others disappear. I too loved the first night of Sanremo and that’s why I started this post with that video, see the emotion of the boys, the tenderness of Gianluca and the reaction of the public is truly priceless. WEll! 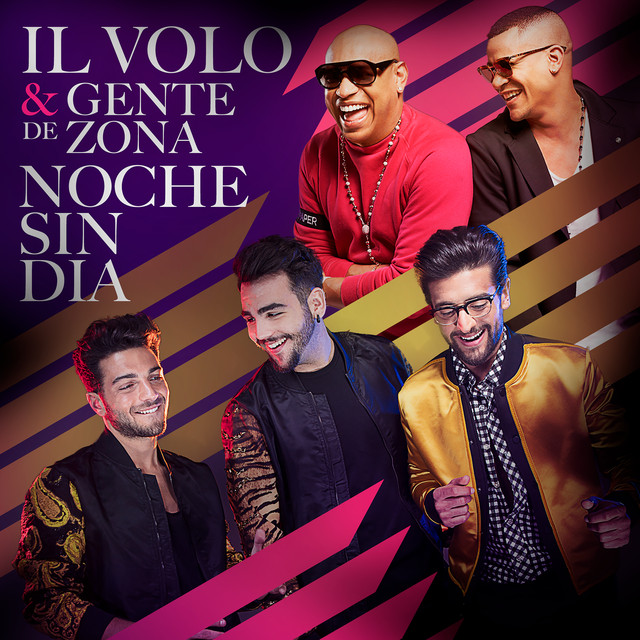 After listening all those…..I just had to hear ILVOLO do it so I could wash the sound of the others out of my head! Especially that Opera Duo… YEOWWW! 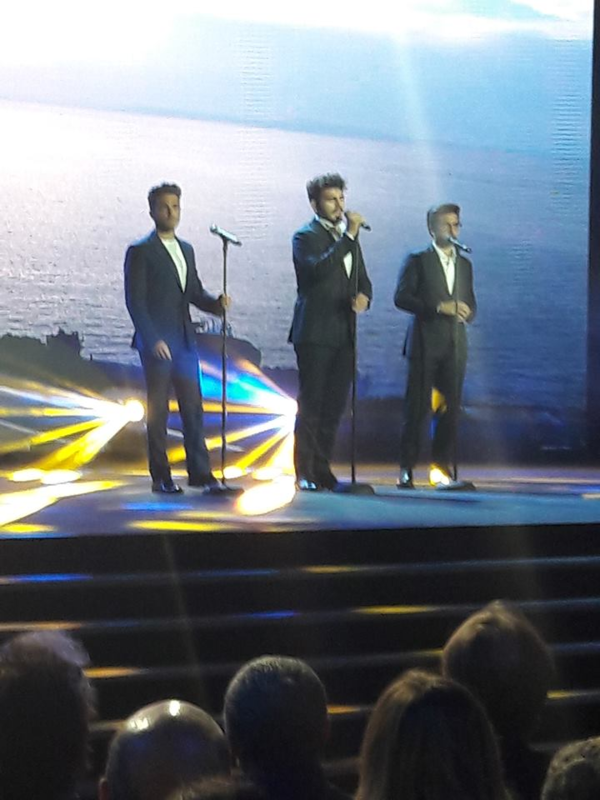 Our beloved Piero, Gian and Ignazio are the true artists here, they were meant to do this song the treatment it got! Ha ha ha, Connie, did you manage to wash the sound of the others from your ears? Why do you think I finished the post, still with our beloved Piero Ignazio and Gianluca? The problem is that when you hear their music, this remains in your mind and makes room in your heart, there are no other music that can wash theirs. You are so right, mio amico, I believe they were MEANT for this song! Others will imitate it but they have it sealed in their history and in themselves as THEIR Signatiure song. Happy Easter to you! Beautiful analysis Victoria, I agree with you. You are rightly right Laura, after the correct and modernized version was sung in an exemplary way by the boys, I think that for the other singers is a “test” to see if that harmony so fascinating would be good even sung by them. But after you hear it from Il Volo, you can not fully appreciate the others, albeit good singers. Honor to everyone, but the best are still them!